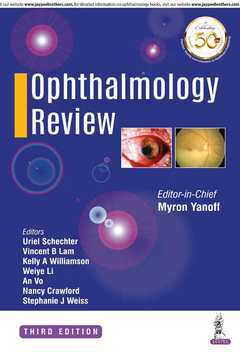 This new edition provides ophthalmologists and trainees with the latest information and advances in their field. Presented in question and answer format, the book begins with discussion on optics and refraction, followed by genetics and embryology. The next chapters cover the diagnosis and management of disorders in different parts of the eye. The third edition has been fully revised and updated, and new topics added. Authored by a recognised team of experts led by Prof Myron Yanoff from Drexel University College of Medicine, Philadelphia, the text is further enhanced by clinical photographs and illustrations.